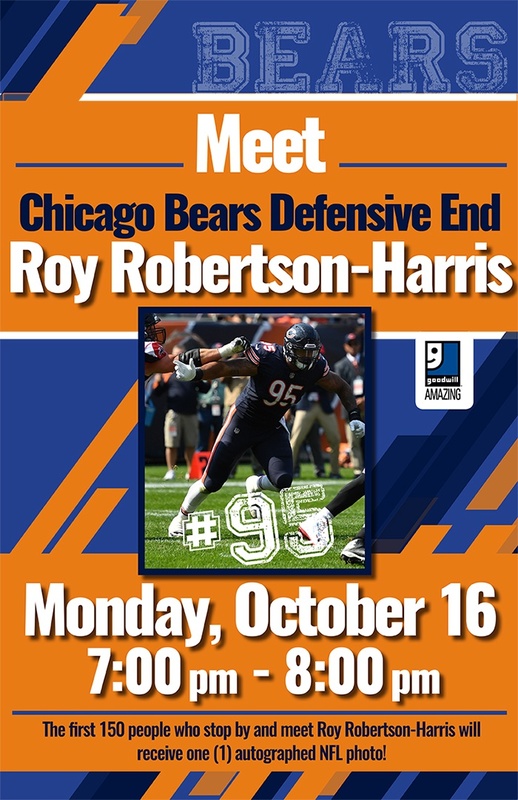 Chicago Bears Defensive Lineman Roy Robertson-Harris and Inside the Huddle co-hosts Anthony "Spice" Adams and Lauren Screeden visited the Goodwill Store & Donation Center in Northbrook, IL in search of Halloween costumes. Check out the outfits they came up with, and visit your nearest Goodwill location to get ready for your Halloween event this weekend! That's right, on the 15th of every month Club Goodwill REwards members will save more when you spend more! Spend $15, save 15%. Spend $20, save 20%. Spend $25 or more, save 25% on your total purchase! Plus, when you spend $15 or more (after all discounts have been applied and after tax) on the 15th, you’ll also receive a coupon good for 20% off your total purchase when you shop on the 16 th, 17th and 18th.